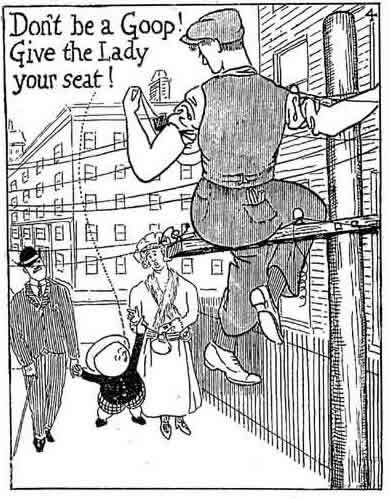 Here’s an example I scanned of Thimble Theatre with a Sappo header from October 1, 1939 probably by Charles H. “Doc” Winner, a year after Thimble Theatre creator Elzie Segar’s death. 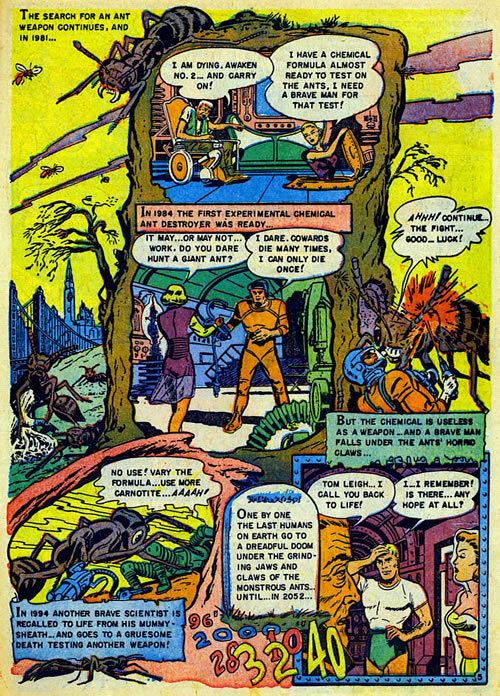 Click here to read about E.C. 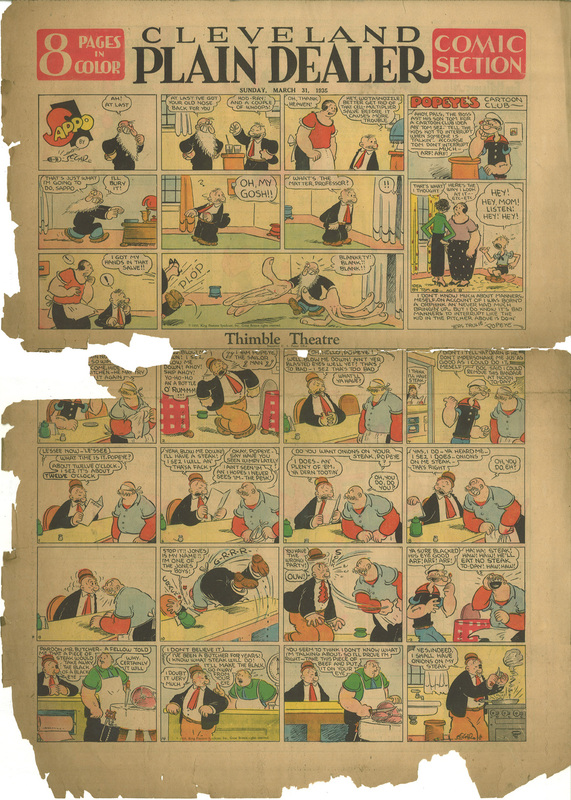 Segar at lambiek.net. Click here to read more about E.C. 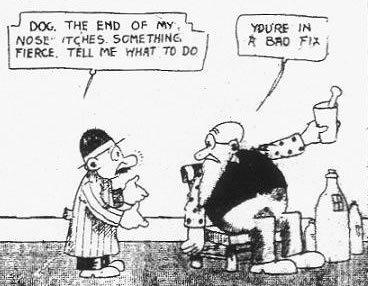 Segar at Don Markstein’s Toonopedia. 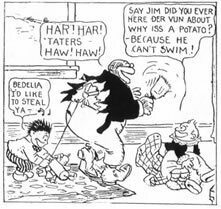 Click here to read more about Popeye at Don Markstein’s Toonopedia. 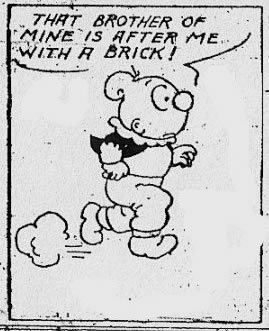 Click here to read more about Elzie Segar at Wikipedia. 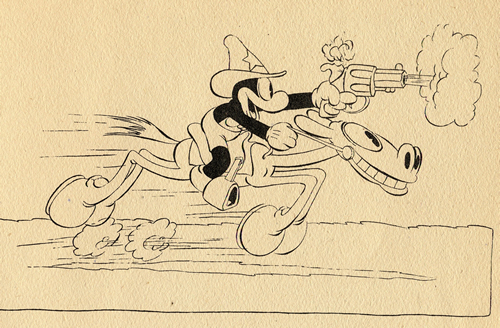 View a bunch of Fleischer Popeye cartoons here. You can get the three Fantagraphics Popeye books here. 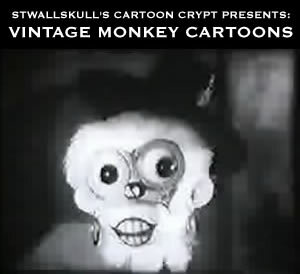 You can get the Popeye the Sailor DVD sets here. 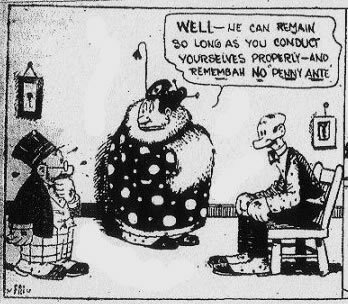 Here’s a badly damaged example I scanned of a Thimble Theatre Sunday strip with a Sappo and Popeye’s Cartoon Club header from March 31, 1935 by Elzie Segar. 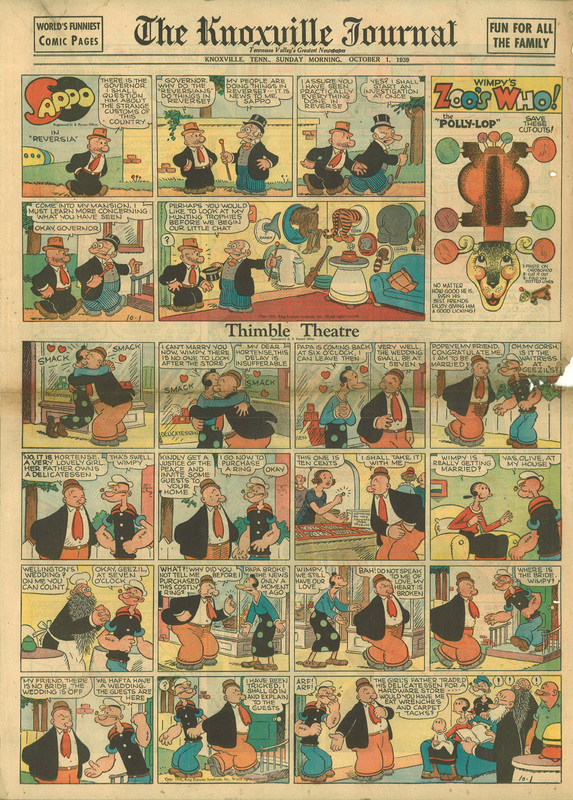 Segar’s Thimble Theatre is simultaneously one of the best humor and best adventure strips of all time… and Segar also had the best header strips! 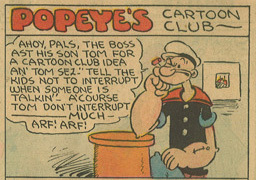 I love the Popeye’s Cartoon Club strips… someone should do a book of just those strips for kids. 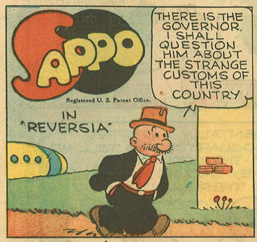 Don’t miss the fantastic Fantagraphics Popeye books. The Popeye the Sailor DVD sets that have been coming out recently look very cool too… I hope to get the Fleischer ones when I have the money to spare someday. Good time to be a Popeye fan.